To successfully underwrite cyber insurance, insurance carriers need a partner to help them look forward. Boston, October 9, 2018 – Insurance carriers can rely upon reams of historical data to underwrite traditional property and casualty policies, but this amount of historical data does not exist yet for cyber insurance. Moreover, underwriting cyber insurance requires understanding threats that have yet to emerge. Fortunately for carriers around the world, risk modeling has evolved to include cyber risk, and a limited number of risk modeling firms can offer assistance. 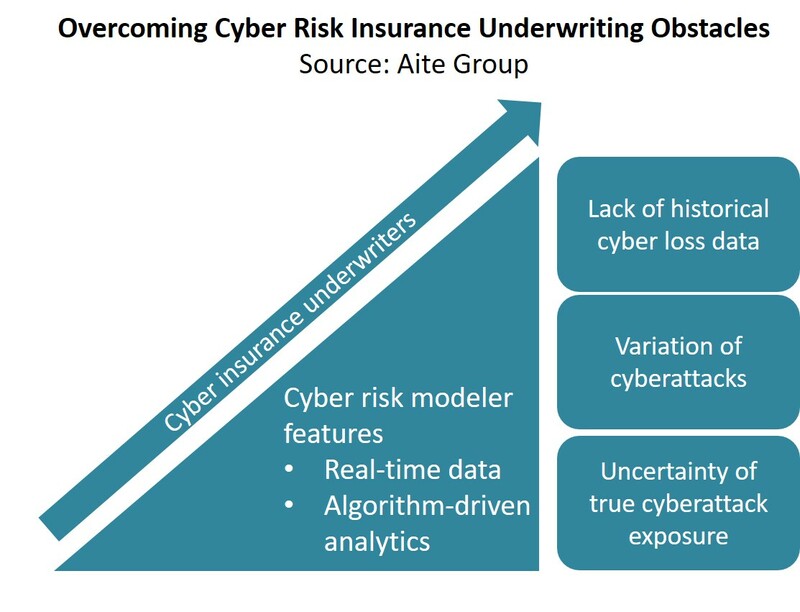 This report makes the case for partnering with a cyber risk modeling firm to help carriers make better cyber insurance underwriting decisions. It is based on 16 interviews conducted between April 2018 and August 2018 with U.S.-based executives at cyber risk modeling firms, insurance carriers that currently underwrite cyber insurance, and firms that are high-value targets for cyberattacks. This 16-page Impact Note contains one figure and two tables. Clients of Aite Group’s P&C Insurance service can download this report, the corresponding charts, and the Executive Impact Deck. This report mentions AIR, Amazon Web Services, CyberCube Analytics, Cyence, FICO, and Guidewire.